Delhi Chief Minister Arvind Kejriwal on Tuesday said the BJP delegation that called on him to talk about the ongoing sealing drive, walked out from the discussion. "All our MLAs and councillors had gathered for the meeting with the BJP delegation (led by Delhi BJP unit chief Manoj Tiwari). 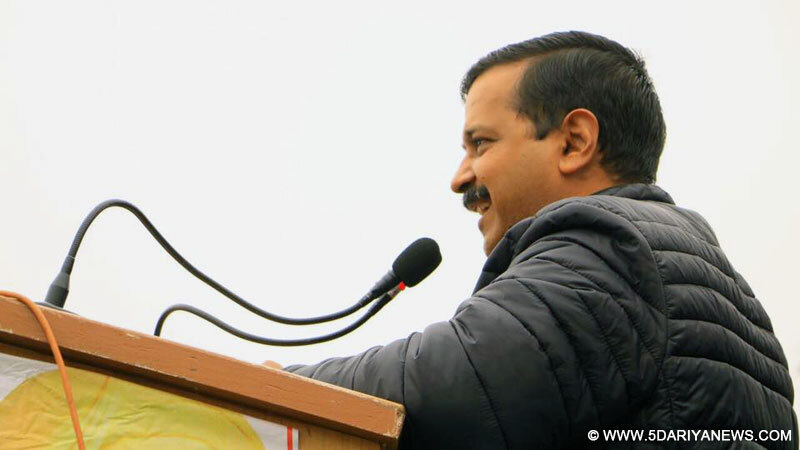 They refused to have a discussion in front of everyone," Kejriwal told media persons here. "There is nothing confidential about it. It is nobody's personal issue. It is a public matter. I begged them to sit down, discuss and together find a solution to the sealing drive. They just walked out," he said. The Bharatiya Janata Party (BJP) delegation had arrived at the Chief Minister's residence earlier on Tuesday. "It was a very good opportunity... both the political parties could have discussed the matter and then approached the Lt. Governor to propose a solution," he added.The sealing drive is being carried out by a Supreme Court-appointed Monitoring Committee against business establishments using residential properties for commercial purposes.It is being implemented by the BJP-led Municipal Corporations.